Winning the Mum’s race at sports day just isn’t that cool is it…nor was coming last as I remember from my last encounter with such an event (oh my goodness, how on earth did I manage that?!). 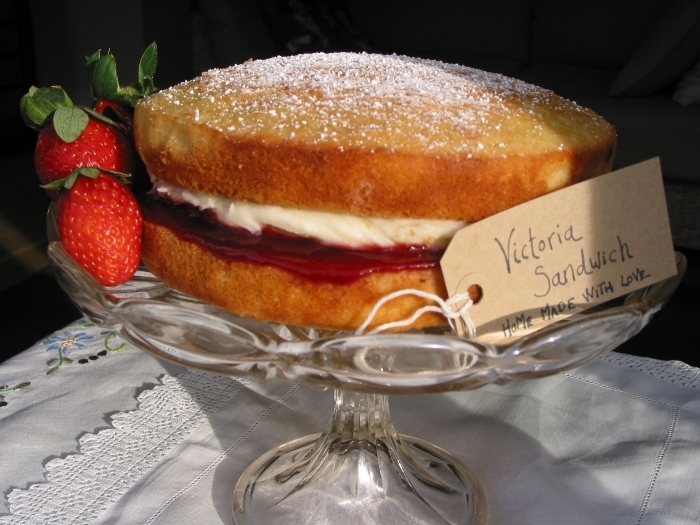 What is cool is donating a beautifully light and perfectly risen Victoria Sandwich to the refreshments stall. Rising above the tray bakes and cupcakes the perfect sponge will make you proud that you tied your apron strings rather than the laces on your trainers. Whilst others are in their lycra sweating (yes, some Mums actually do put themselves and their kids in training for sports day! ), you can be in the kitchen sipping tea whilst you mix your buttercream. And baking your own is at least a zillion times better than shop bought sponge. Not only does it taste far better, it’s cheaper, you know what’s in it and it’s a creation you can be proud of. This is all sounding a bit like a Kirsty Allsop dream…the reality is that many of us don’t have much success in getting our sponge to rise…flat cake syndrome is all too common and puts many off baking their own sponge cakes…so what to do about it? Well, there are some basic rules to baking that whilst pretty straight forward really do make all the difference to turning out a cracking cake. Have a read below, give it a go and let us know how you get on…. Weigh and measure all your ingredients before you get started, and do it accurately – it’s well worth investing in electronic scales. Baking is basically science, so you need to get the experiment spot on. Grease and line your cake tin before you begin to mix, if you leave your mixture sitting around whilst you get this job done air bubbles will start to rise to the top and limit your cakes ability to rise. Use the best quality ingredients that you can afford and make sure it is all at room temperature before you get started. Get some decent measuring spoons – if a recipe requires a ‘teaspoon’ it means 5mls – most ‘teaspoons’ measure less than this. Use really soft butter – make sure you get it out of the fridge well in advance of your bake-off. If it is still feeling a bit on the hard side when it’s time to get started either pop it in a warm place, microwave it for a few seconds, or grate it on to a plate. Most sponge cakes start with creaming together butter and sugar – take this process seriously. Creaming together doesn’t mean a quick mix, it means fully incorporating the ingredients and then continuing to mix for at least 5-10 minutes until really light and fluffy. This is pretty hard work if you are doing it by hand, so if you are planning on doing a bit more baking (or even just mixing pizza dough or bread mix), invest in an electronic mixer. When it comes to adding the eggs make sure you do it slowly. If you go too quickly the mixture may curdle and result in a heavier sponge. So just a little at a time with a good mix after each addition. Make sure the oven is to the correct temperature before you put your hard work in it. Modern ovens are generally pretty temperature accurate but they do vary slightly so get to know yours. Have your cooling wire at the ready, but leave your cake in the tin for two minutes before placing it on the wire. And last but definitely not least…whatever you do don’t open the oven door!! 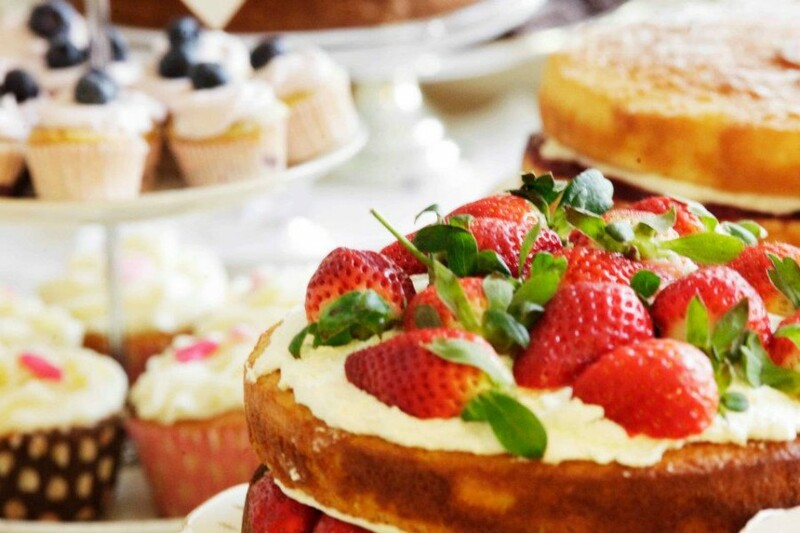 Victoria Sandwich recipes seem to be everywhere I look – with jubilee celebrations and the picnic season well and truly upon us, every supermarket shelf and magazine is offering us their variation on the classic sponge recipe. At Alice’s Vintage Pantry we use a tried and tested recipe that turns out the most delicious Victoria Sandwich…needless to say I’m quite keen to keep that one close to my chest, so here is another created by the super talented and much loved Delia Smith. Preheat the oven to gas mark 3 / 170c. Grease and line two 18cm cake tins. Cream butter and sugar together. In a separate bowl beat the eggs together thoroughly then slowly add to the butter and sugar. Stir in the vanilla essence. Sift the flour on to the mixture and slowly incorporate using a metal spoon. Divide the mixture equally between the two tins and bake for 25 minutes or until well risen and springy to the touch. And if you don’t want to put your apron on don’t forget we can bake one for you – we deliver anywhere in Manchester, Cheshire and the surrounding areas. Copyright 2015 Alice's Vintage Pantry. All rights reserved.